The Beothuk are the immediate descendants of a Recent Indian people whom archaeologists refer to as members of the Little Passage Complex. In fact, they are the same people; when Little Passage people acquired European objects, archaeologists would refer to them as Beothuk. When Europeans arrived in Newfoundland in about 1497, the people we would come to know as Beothuk lived all around the island, with the possible exception of the eastern portion of the Avalon peninsula. 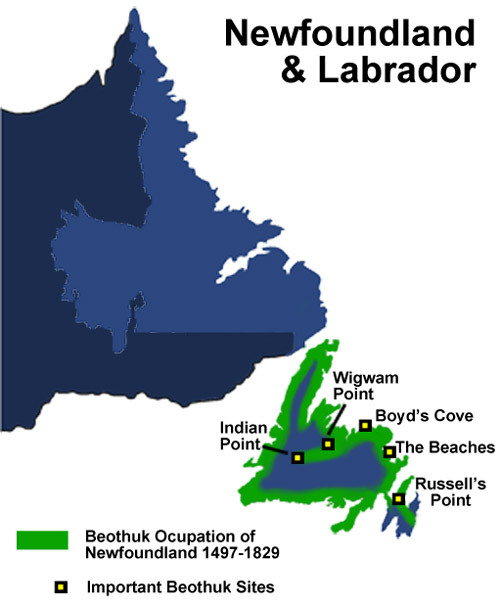 There is good evidence to suggest that Beothuk also lived on the other side of the Strait of Belle Isle in what is now southern Labrador and the Quebec Lower North Shore. In fact, in many ways it is useful to think of the precontact Beothuk (or Little Passage people) as part of a continuum that extended from the island of Newfoundland to the coast of central Labrador where a closely-related group known to archaeologists as the Point Revenge people lived. Many archaeologists believe that the Point Revenge people are the ancestors of today's Innu which would make the Innu the closest living relatives of the Beothuk. Based on J. A. Tuck. "Prehistoric Archaeology in Atlantic Canada Since 1975." Canadian Journal of Archaeology No .6 (1982), p 203. Illustration by Tina Riche. The Beothuk, like all subarctic hunter-gatherers, followed a fairly precise schedule during the year in order to get the food and other material they needed to live. 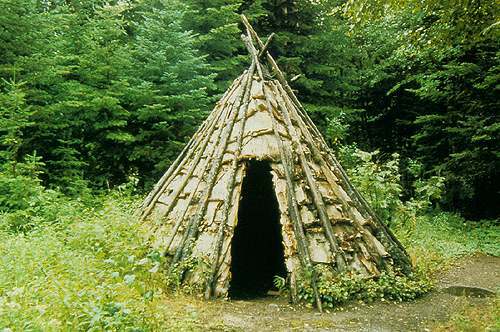 While this "seasonal round" probably differed somewhat from place to place, it can be partially reconstructed by archaeological evidence from a number of Beothuk sites. At Boyd's Cove, in Notre Dame Bay, for example, it is possible that people lived at this large base camp for most of the year. The Boyd's Cove Beothuk would have been able to gather shellfish, fish for inshore species, and hunt harbour seal and many migratory birds close to the village in the warmer months, but they would have to establish satellite camps in the outer islands and headlands in order to kill harp seals in the late winter and early spring. Similar special purpose camps would have been needed to take salmon from nearby the larger rivers in the summer. A fall caribou hunt would have been absolutely necessary, not only for the meat but for the skins for clothing and the sinews (tendons) used as thread for sewing. Caribou are most easily killed during their fall migration when they cross large bodies of water, such as the Exploits River. We know that some Beothuk groups maintained “deer fences” long, funnel-shaped lines of poles with fluttery scraps of skin (later cloth) on them. These drive lines, as they are sometimes called, served to channel the animals into the water where they could be more easily killed, sometimes as they scrambled up the bank of the river. It is quite possible that whole bands of Beothuk camped along the Exploits River in order to take advantage of this resource. In the precontact period, we also know that the ancestors of the Beothuk would have had to schedule trips to the sources of grey-green and blue-green cherts that they favoured for making their stone tools and weapons. Geologists tell us that the likely source of this chert in eastern Notre Dame Bay is in boulders left behind by the last glacial age. To date, archaeologists have not discovered the whereabouts of these chert boulders, but we can be assured that the precontact Boyd's Cove Beothuk would have needed a sufficient supply of raw material to make into the lance and arrow points necessary to carry out a caribou hunt. The people who hunted and fished the coasts and interior of Newfoundland were organized into bands, perhaps numbering 35 to 50 or so people. Such groups were led by individuals who achieved a consensus among their people. It is quite likely that a particularly good hunter served as a leader for a caribou hunt, for example, while a wise, elderly woman might have provided the leadership and advice to deal with the new strangers who had come across the water from Europe. We know relatively little about the first contacts in the 16th century between the Beothuk and Europeans. There is evidence that a casual trade, similar to what occurred elsewhere in the Gulf of the St. Lawrence, was carried on in Newfoundland and perhaps the Strait of Belle Isle. Such a trade may have at times taken the form of a “silent barter”--an exchange that involved one party leaving goods at a customary spot to be replaced by goods left by a second party. Silent barter seems to occur when two groups who are rather wary of each other's presence wish to trade. Certainly, the Beothuk would have wished to acquire the iron needles, copper pots, knives and hatchets that were so attractive to other Aboriginal people throughout the New World. Similarly, the first fishermen who came to the region were delighted to be able to trade these goods for the valuable beaver, marten and fox furs that brought a high price in Europe. Elsewhere in the northeast, this casual fur trade in the 16th century developed into a full-blown trade in the 17th century. In this regard, the Mi'kmaq of the Maritime provinces are a good example. The Mi'kmaq began trading with the very first Europeans to come to the area and by the beginning of the 17th century, had come to depend upon them. While iron needles, hatchets and knives, as well as copper kettles, cloth, and beads could enhance their life, they came with a considerable cost. Fur-bearing animals provide relatively little, if any, meat (except for beavers), but they require the expenditure of a good deal of energy to hunt or trap. Time spent trapping foxes or otters, say, and chopping holes in frozen beaver lodges, was that much less time that one could spend hunting moose and caribou. Also, there was a cost involved in simply gathering at a fishing harbour to await the arrival of a European vessel. We know from the historical record that, on occasion , Mi'kmaq and Innu clustered in large numbers at such places, quickly exhausting the food supply. This sometimes meant that they then had to trade for European food such as dried peas, flour, and the like--food that was much less nutritious than traditional fare. In addition to disrupting the traditional round, the fur trade brought other ills as well. Europeans brought alcohol, with which the Aboriginal people of the northeast had no experience. By the 17th century the Mi'kmaq were also acquiring firearms which made warfare more deadly. There also seems to have been an increase in Aboriginal warfare as various groups sought to expand their share of the fur trade. Perhaps the greatest cost of the fur trade, however, was European disease. The Native people of the New World had no immunity to such diseases as small pox, influenza, measles, and the like, and the 17th century was the beginning of a long biological assault on groups such as the Mi'kmaq. The Mi'kmaq also experienced a kind of cultural assault as well. The 17th century brought European missionaries who ridiculed traditional beliefs and sought to make Christians of the people they encountered. The Mi'kmaq, and other people of the northeast, also found themselves drawn into the imperial wars of the era. This was a period when the French and the English fought for control of these new (to them) lands, and it was customary for both nations to try to secure Native allies. Courtesy of J.A. Tuck, Atlantic Archaeology Ltd. From Dr. Ralph Pastore, Shanawdithit's People: The Archaeology of the Beothuk (St. John's, NL: Atlantic Archaeology Ltd., ©1992) 21. Significantly, this was not the Beothuk experience. After the beginning of the 17th century, there is little evidence of a trade between the Beothuk and the fishermen and settlers of the island of Newfoundland. One exception involved John Guy, an English colonizer who in the fall of 1612 met Beothuk at the bottom of Trinity Bay, Newfoundland. The nature of that meeting is interesting because of how the Beothuk attempted to manage a trade between the two groups. After an initial friendly encounter, Guy returned to the spot where he and the Beothuk had met. There he found that they had erected a dozen poles upon which they had hung furs and shells, obviously expecting that Guy would leave behind what he thought was appropriate. This appears to have been a classic example of silent barter, and may have been the most common form of trade between the Beothuk and Europeans in the previous century. For about a hundred years after Guy's meeting with the Trinity Bay Beothuk, they are almost absent from the historical record. Almost certainly they were avoiding Europeans and acquiring the metal goods they desired by picking them up from abandoned fishing premises. By the 18th century, however, reports of conflicts between Europeans and Beothuk increase, in part because an expanding English population was beginning to encroach upon Beothuk territory. As European settlement expanded into Bonavista Bay, and then Notre Dame Bay, the Beothuk increasingly found it difficult to hunt and fish for vitally-needed coastal resources. At the same time, a growing Mi'kmaq presence in the southwestern and southern areas of the island appears to have hindered Beothuk use of those areas. Use of the Strait of Belle Isle region may have ceased even earlier with the arrival of Basque whalers there in the middle of the 16th century, followed by Inuit expeditions from the north and French entrepreneurs seeking fish and seals. 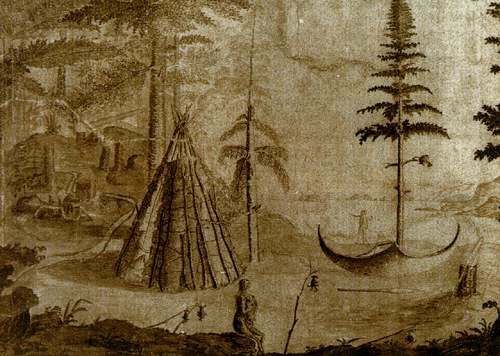 By the middle of the 18th century, the Beothuk world had begun to collapse around them and increasingly they became more dependent upon the caribou and beaver of the interior. These were not enough, however, and the Beothuk had to make furtive trips to the coast for the seals, fish, and seabirds that had sustained their people for generations. Now, though, the Beothuk encountered settlers who regarded the Beothuk as thieves, and clashes between the two groups were inevitable. The Englishmen the Beothuk would have most feared, however, were likely the people called furriers. Because the Beothuk had not engaged in a developed fur trade, English settlers had early in the 17th century begun to trap their own furs. This was a development unusual in North America at such an early date. Everywhere else at that time European settlers traded their goods to Indians for furs. These furriers were skilled in living in the woods and they very much resented the Beothuk taking their traps which the Beothuk reworked into lance blades. Many of the attacks against the Beothuk in the last half of the 18th century were carried out by these people. 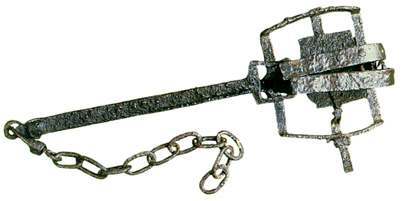 Beothuk took these traps and reworked the iron in them into tools such as caribou spears. Courtesy of The Rooms Provincial Museum Division, St. John's, NL. Prior to 1768, British naval governors and other officials took little notice of the Beothuk--probably because most Newfoundland settlers and migratory fishermen were little affected by them. In 1768, however, the naval governor, Hugh Palliser, sent Lieutenant John Cartwright up the Exploits River in an attempt to make contact with the Beothuk and to draw them into a peaceful relationship with the English. Although Cartwright recorded numerous dwellings, he was unable to meet with any Indians. This drawing is from John Cartwright's map, "A sketch of The River Exploits and The east end of Lieutenant's Lake in Newfoundland" (ca. 1773). Courtesy of The Rooms Provincial Archives Division (MG-100), St. John's, NL. In some ways, Palliser was representative of a new spirit in the Atlantic world. Increasingly, some members of society had become concerned about the casualties of western civilization. The anti-slavery movement, the movement to abolish judicial torture, and concern for the plight of Native people were all part of this growing humanitarian impulse. Palliser himself was concerned not only about the condition of the Beothuk, but also about that of the Labrador Inuit. He requested that Moravian missionaries come to Labrador, in part to help prevent conflict between whalers and fishermen on the one hand, and the Inuit on the other. Unfortunately, this increased concern about the welfare of the Beothuk would have little real effect. In 1792 Captain George C. Pulling surveyed the English settlers on the northeast coast collecting accounts of atrocities perpetrated against the Beothuk and apparently submitted this report to a Parliamentary committee, although nothing of substance came of his efforts. A succession of governors, beginning with William Waldegrave in 1797, issued proclamations forbidding attacks on the Beothuk and offered rewards for making contact with the beleaguered people, but again with little positive result. The most substantial attempt to contact the Beothuk occurred in the winter of 1811 when Governor John Duckworth sent Lt. David Buchan up the Exploits River accompanied by a small force of marines. Buchan surprised a large Beothuk camp whose occupants were probably paralysed with fear. Buchan spent a short time with them during which he tried to convince them that his intentions were peaceful. Deciding to go back down the river for more presents, he left two of his men behind as hostages. Unfortunately, when he returned he found the camp deserted and his two men killed. It is probable that by this time the Beothuk had been so victimized that only the most extraordinary measures could have brought about a reconciliation between them and the settler population. In the years after the Buchan expedition, settler populations continued to encroach on what had been Beothuk territory, and the Beothuk continued to raid fishing premises and furriers' cabins for European goods. Not surprisingly, the settlers retaliated. In 1818 a group of Beothuk cut loose a boat full of goods belonging to John Peyton Senior, a local entrepreneur who had long been known for his brutal retaliation against Beothuk who had taken his property. In the late winter of 1819, Peyton and a number of his men attacked a Beothuk village on Red Indian Lake and captured a young Beothuk woman after killing her husband. This woman, Demasduit, or Mary March, as her captors would call her, was sent to Twillingate and then to St. John's to meet the governor, who ordered her returned to her people. After a futile attempt to reunite her with the remaining Beothuk, she died aboard Buchan's vessel in January of 1820. Portrait of Demasduit (Mary March), painted in 1819 by Lady Hamilton. Original portrait housed in the National Archives of Canada. Courtesy of Dr. Ralph Pastore, Memorial University of Newfoundland, St. John's, NL. In 1823, three starving, sick Beothuk women surrendered to a Newfoundland settler living in Notre Dame Bay. They were brought to St. John's by John Peyton, Jr., the son of the man who had led the expedition which had captured Mary March. Ultimately, Buchan would try to return the women to their homes, but two died leaving alive a woman whom we know as Shanawdithit. Peyton Jr. took her into his household where she lived for five years, during which time it is quite possible that the small remnant left of her people died out. 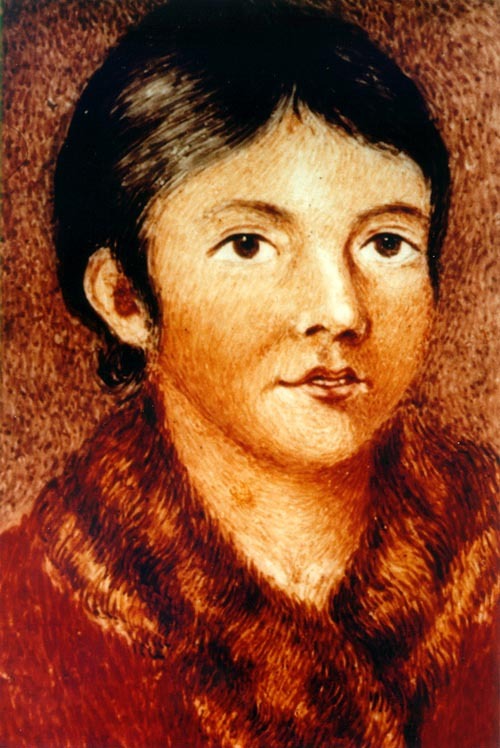 Shanawdithit was sent to St. John's in 1828 where she was interviewed at length by William Cormack, an explorer who had made two previous, and unsuccessful, attempts to make contact with the Beothuk. 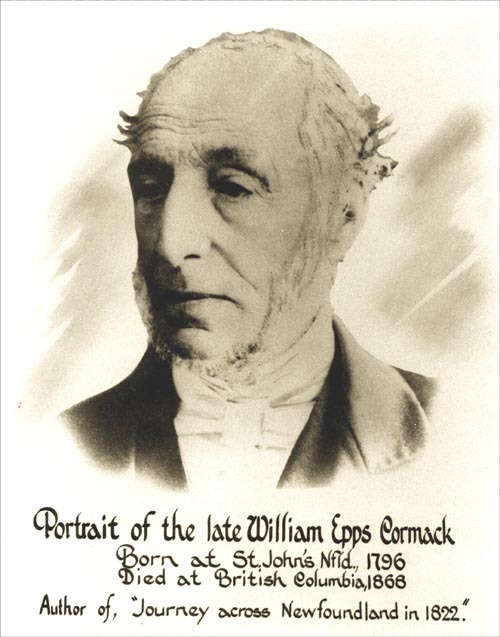 Born in St. John's, William Cormack was the first European to journey across the interior of the Island. On September 5, 1822 Cormack's expedition departed from Smith Sound, Trinity Bay and arrived in St. George's Bay on November 4th of the same year. Shanawdithit's descriptions of her people, both in interviews with Cormack and in the form of a series of drawings illustrating the life and history of her people are an invaluable source of what we know about the Beothuk. Sadly, Shanawdithit died in St. John's in June of 1829. Her death probably marked the end of her people, and as such was a tragedy of terrible proportions. It is important to remember, however, that the demise of the Beothuk was not the result of “500 years of genocide” as some writers have claimed. Rather, it was the result of a complex mix of factors involving the island's unique ecology, history, and economy. The fact that there is no simple explanation for the extinction of the Beothuk in no way diminishes their loss and that of humanity's.